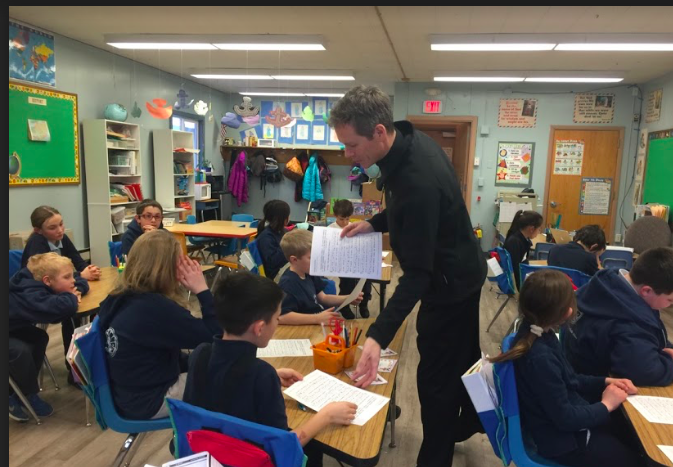 From morning chapel to afternoon lessons, our students benefit from attentive guidance throughout their day. We offer small class sizes in a structured, safe environment. Diverse faiths are welcomed, as Catholics have for centuries provided the finest education to all who desire it. Our classical curriculum, adopted in Fall 2013, solidifies this commitment to elevating students' spiritual character through rigorous intellectual training. To this end, instruction in Mathematics, English/Latin Grammar, History, Religion, Science and Fine Arts complements our goal as educators: we walk alongside the children as they make discoveries large and small. Secure in the orderly world created in the classroom, wonder follows quite naturally.